Oakhurst Baptist Church was organized April 5, 1953, from the membership of Clarksdale Baptist Church after it had become apparent that the membership was too large for the facilities. A registration day on the last Sunday in March enlisted 526 charter members of the new church. At the organizational meeting, the church covenant and articles of faith were adopted, deacons and other officers were elected, and Dr. Francis K. Horton (who had been pastor of Clarksdale Baptist Church) was called as Oakhurst’s first pastor. Joint services were held for many months until Oakhurst could arrange for separate meeting facilities. During those months, renovation of the Clarksdale Baptist Church sanctuary required that morning church services be held for a time in the old Paramount Theater on Yazoo Avenue next to the McWilliams Building. Oakhurst first arranged to use the City Auditorium facilities, but a fire on the stage during a duck-calling contest prevented that. Then the Elizabeth Door School facilities on West Second Street were secured and beginning in December 1953, the church held all Sunday services there. Mid-week services were held in the undamaged part of the City Auditorium. In July, 1954 the west wing (Grace Building now) of the present building was completed and church services were held in that building. The facilities were expanded into the center wing (balcony/breezeway) when it was completed in 1955. The sanctuary was completed and occupied in February, 1958. It was a wonderful and emotional occasion, never to be forgotten by some 1200 people who filled every bit of space available for that first Sunday morning service. The Education Building (Joy Building) facing School Street ws completed in 1974. It was started in 1972 just before Dr. Horton retired and Dr. Glenn Sullivan became the second pastor of OBC. In 1980, the sanctuary was completely renovated. Dr. Thomas Tutor became the third pastor in August, 1983. His inspiring leadership and preaching, and his introduction of membership training programs in witnessing and ministering have led to new and expanding outreach ministries for the church. In the spring of 1985, Oakhurst entered a new era when we began a bold building program that included the Christian Activities Center. This facility was built and several homes on Anderson Boulevard and School Street were purchased to provide needed parking and additional areas for expansion in years to come. In 2003, the church entered into a renovation phase wherein the sanctuary was completely redone. 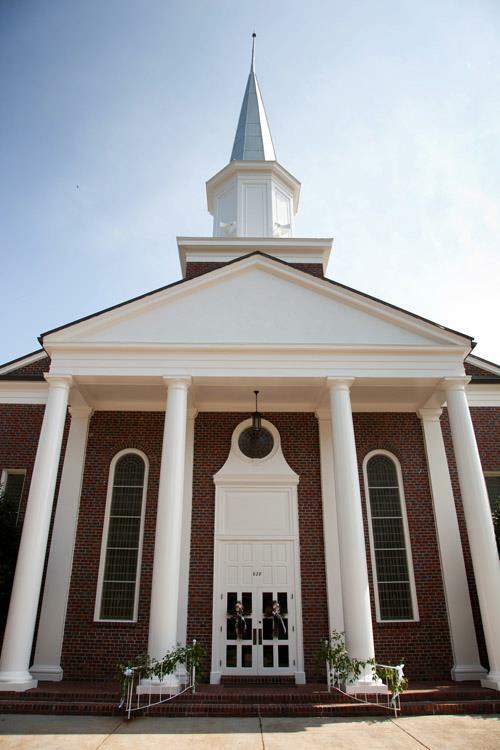 Fifty-six years after organization, Oakhurst Baptist Church remains debt free. Understanding the unusual history of Oakhurst Baptist Church leads on to the conclusion that God has been involved in the organization and life of this special church since before its beginning, and that God is now calling her to yet a greater ministry in this community.